Summer is officially here! 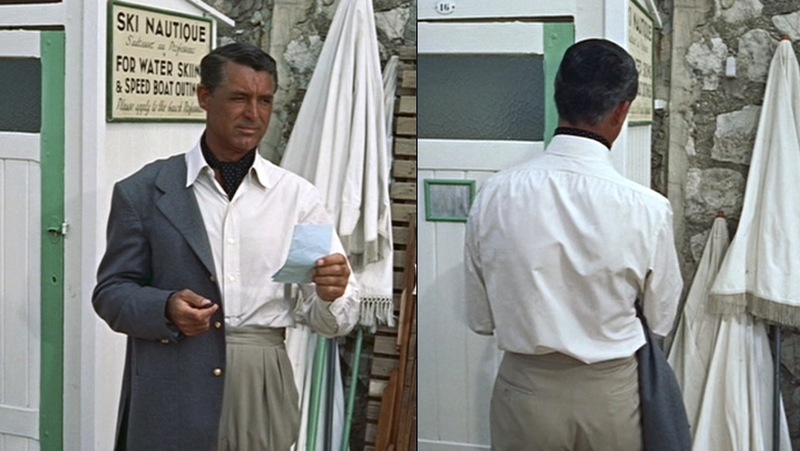 * Anyone looking for a way to stand out in your summer duds should take a cue from Cary Grant, which is never a bad idea when it comes to style. 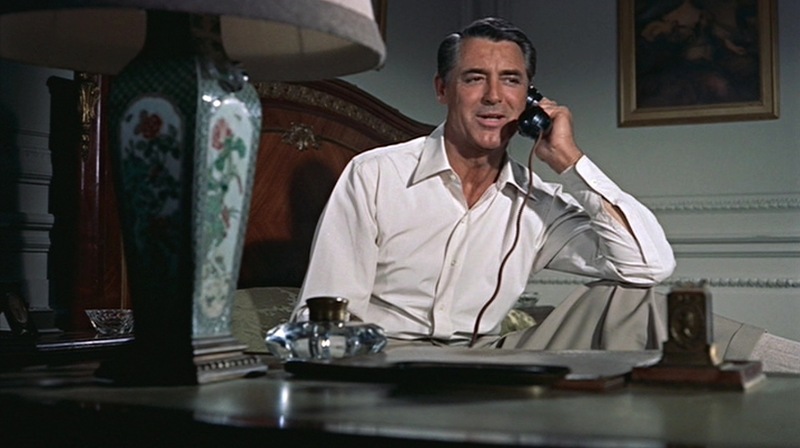 Perhaps it’s just his modesty talking, but it’s damn near impossible to watch any Cary Grant film without wanting to add a few more well-tailored suits and sport coats to your wardrobe. 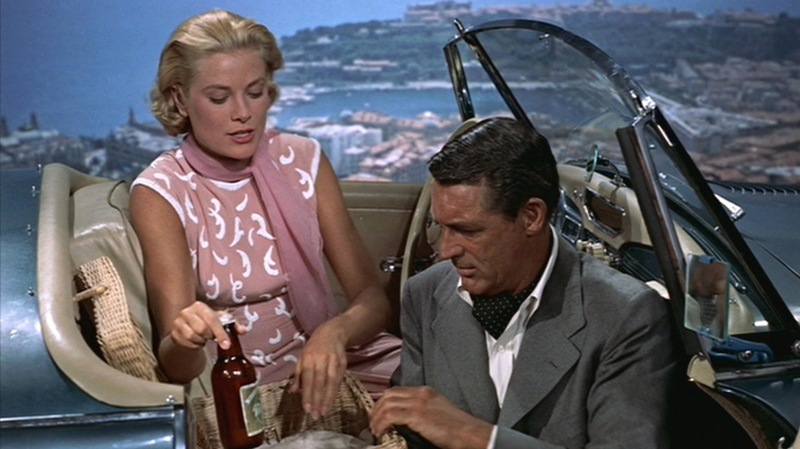 One of my favorite films that shows off Grant’s impeccable style is To Catch a Thief, one of Hitchcock’s most charming flicks due to its relatively low stakes and the pairing of two of his favorite leads – the debonair Cary Grant and the elegant Grace Kelly. Both Grant and Kelly get a chance to show off their comedic and romantic chops against the stunning backdrop of a summer in the French Riviera. 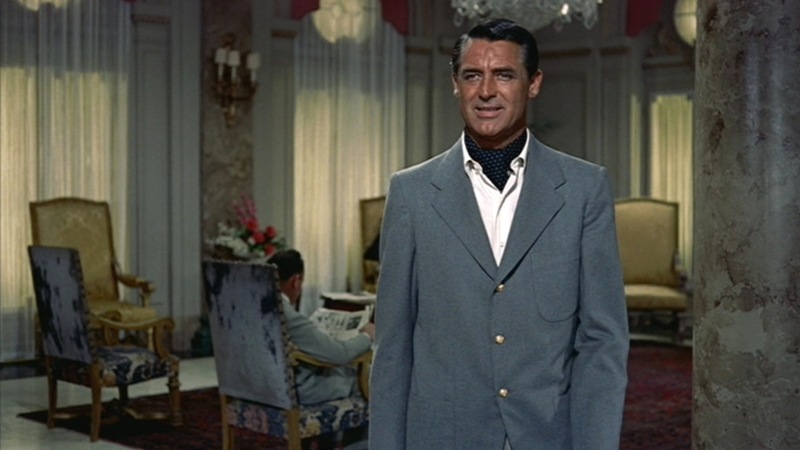 Grant brings his style A-game to some of his outfits in the film, including a fine gray business suit and a sterling example of black tie for an evening of gambling and romancing. 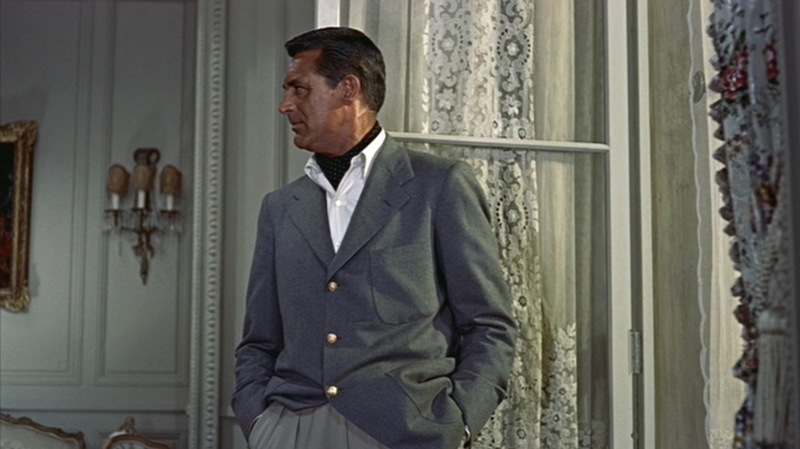 One of his most unique and remembered ensembles is the gray blazer, day cravat, and slacks worn for his day out with Grace Kelly. … and thus spake Cary Grant himself, again from the 1958 GQ editorial. 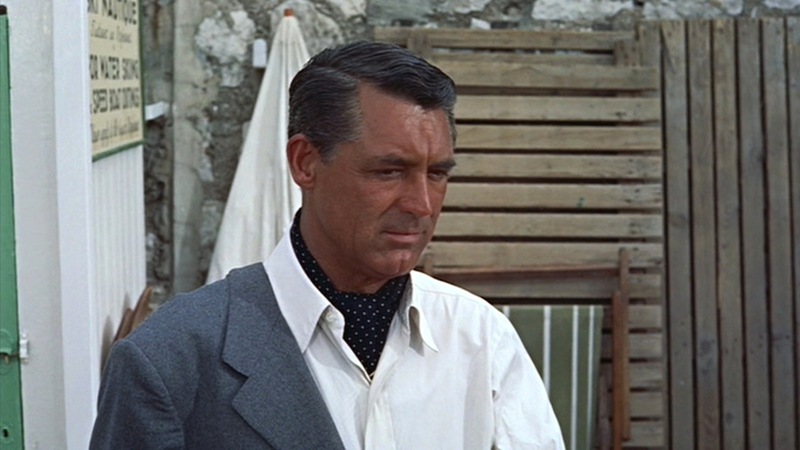 If any man deserves to be a snob about clothing, it’s Cary Grant, and here he is saying just the opposite as he follows the Outback Steakhouse maxim of “no rules, just right”. Still, just because he’s no snob doesn’t mean he’s a slob. John Robie dresses for his excursion to the beach – and subsequent scenic picnic – in a gray flannel blazer, white cotton shirt over a dotted day cravat, tan slacks, and tassel loafers. This distinctive look is both masculine and timeless, following Grant’s own sartorial maxim of dressing like a man for all ages. Robie’s gray blazer is constructed from a lightweight flannel. Summer-weight flannel can be difficult to find on modern clothing, so a comfortable hopsack woven blazer would also work nicely. The blazer is single-breasted with sharp notch lapels – with a buttonhole in the left lapel – and three gold buttons on the front. Robie avoids the tourist swimmer’s dilemma of walking through the lobby soaking wet by changing his clothes at the beach. Grant causes some controversy among sartorial purists by the way he buttons his blazer in this sequence. The decided “rule” for 3-button jackets is “sometimes, always, never” from top to bottom. Grant spends the first few scenes in the Carlton Hotel with all three buttons fastened. This becomes especially noticeable and awkward when Robie wears his hands in his trouser pockets in the Stevens’ hotel room and bunches all three buttons together. b) Cary Grant will forever be a classic example of the charismatic and romantic leading man that makes every woman’s heart flutter. Neither you nor I have any room to talk. Grant brazenly ignores some major sartorial “rules” while a disapproving John Williams looks on behind him. 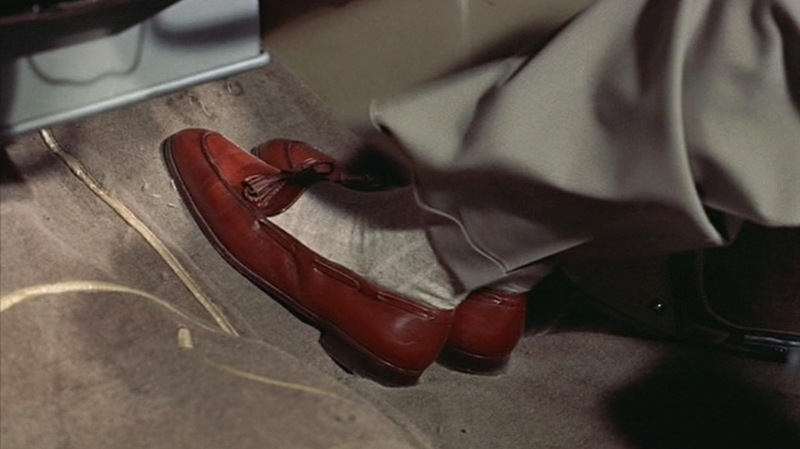 As I mention in my North by Northwest post (which, as my first post, could use some serious revision! 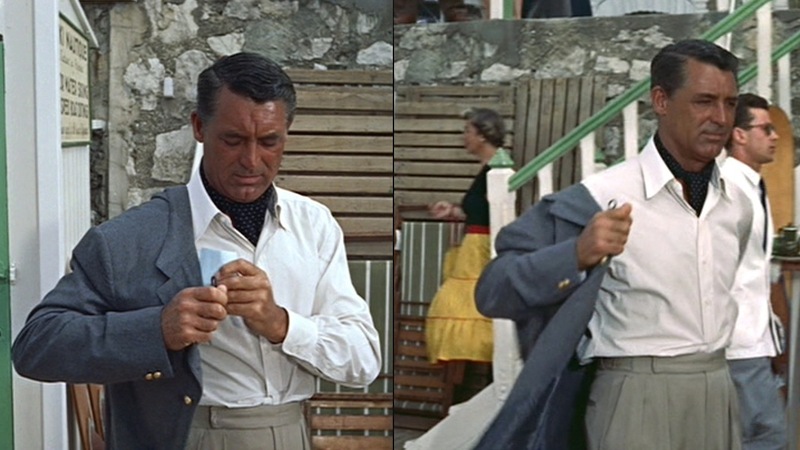 ), Cary Grant had a habit of placing his hands in his pockets and thus preferred double vents on his suits. This blazer isn’t helped by its short single rear vent when Grant keeps his hands in his pockets in the hotel room – as seen in the above screenshots. The blazer sleeves have roped sleeveheads and two gold buttons at the end of each cuff. The natural shoulders have a slight concave like the “pagoda” shoulder structure. In keeping with its informal context, the blazer’s three external pockets are all large patch pockets with rounded bottoms – one on the left breast and one on each hip. Thanks to Grant’s long torso and 6’2″ frame, the blazer bunching doesn’t look as bad when he’s standing up. Grant goes cravat-less when alone in his suite. The shirt’s large collar is structured with a moderate spread and elongated points, though not to the extent seen on shirts earlier in the decade. 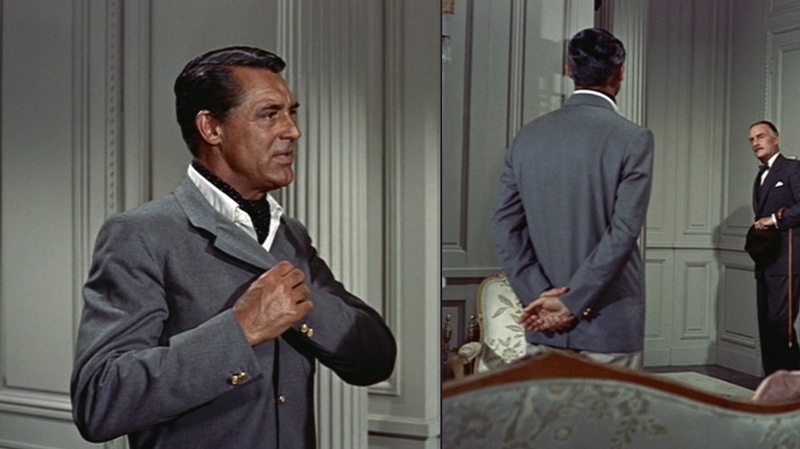 Some sources believe Grant wore a button-down collar shirt in this sequence due to how well the collar stays contained under his jacket, but it is clearly a standard collar that keeps in place without the help of buttons or tabs. The length of the points and a little bit of TLC is all that the shirt collar needed. 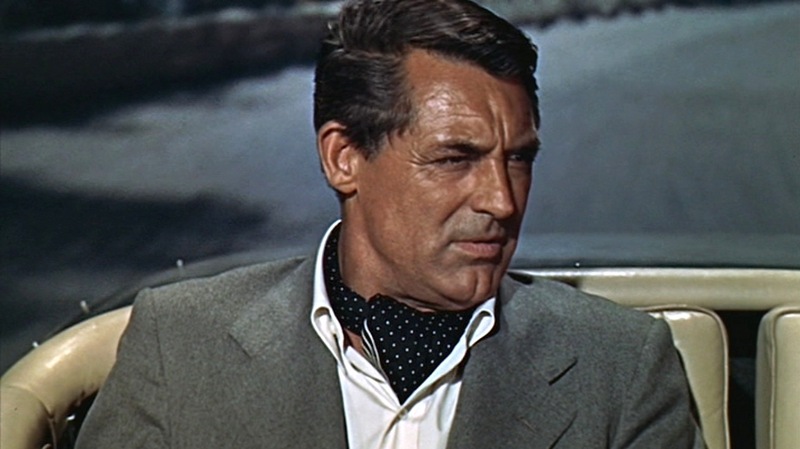 Under his shirt collar, Grant radiates a sense of countryside cool with a dark navy blue day cravat. The day cravat adds subtle elegance – the key to Grant’s timeless style – while practically serving to catch any sweat. Essentially a loosely-tied scarf worn under the shirt, the day cravat is the most comfortable and casual form of neckwear that adds a gentlemanly devil-may-care touch to any outfit. John Robie’s day cravat is dark navy with small white pin-dots. Primarily only the dots are seen under the collar, but occasionally the cravat slips up on his neck and the white diagonal stripes (left-down-to-right) are seen peeking out under the dots. During summer, I’ve taken to wearing light beige, washable poplin suits. They’re inexpensive and, if kept crisp and clean, acceptable almost anywhere at any time, even in the evening… Learn to dispense with accessories that don’t perform a necessary function. I use belts, for example, only with blue jeans, which I wear when riding, and content myself with side loops, that can be tightened at the waistband, on business suits. These double forward-pleated trousers may be the very style that Grant had in mind with the belt-less waistband that fastens on the sides with button tabs. The extended waistband in the front also closes on the right with a double-button closure. The trousers also have four outer pockets: a deep, slightly slanted hand pocket on each side and two jetted rear pockets that close through a button. 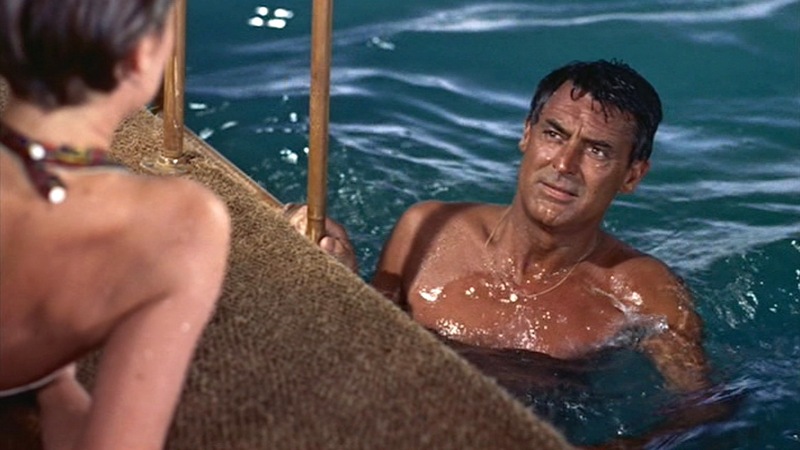 I wish we had gotten a scene of Cary Grant water-skiing as the SKI NAUTIQUE sign advertises. That would’ve just been cool. Robie and Francie enjoy a nice stroll down to their local villa. Robie wears brown loafers, specifically a pair of apron toe tassel loafers in saddle tan calfskin leather with interwoven leather lace on the sides. Grant was known to be an advocate of softer-heeled driving moccasins, but these are standard loafers with hard leather soles. He wears them with a pair of tan ribbed cotton dress socks that nicely carry the leg line between the trousers and the shoes. Robie forgets he has no brake pedal on the passenger side. Robie’s single accessory is a thin gold chain around his neck with a round gold pendant. Due to the day cravat, we only see it when he’s swimming. And while he is swimming, Robie sports a pair of beige cotton bathing trunks with an elastic waistband. The shorts are longer than the skimpier mens’ swimming trunks of the era, and they still rise high to Grant’s belly button. Although cotton swimming trunks aren’t very common these days, you can still find vintage pairs like these similar Jantzens. 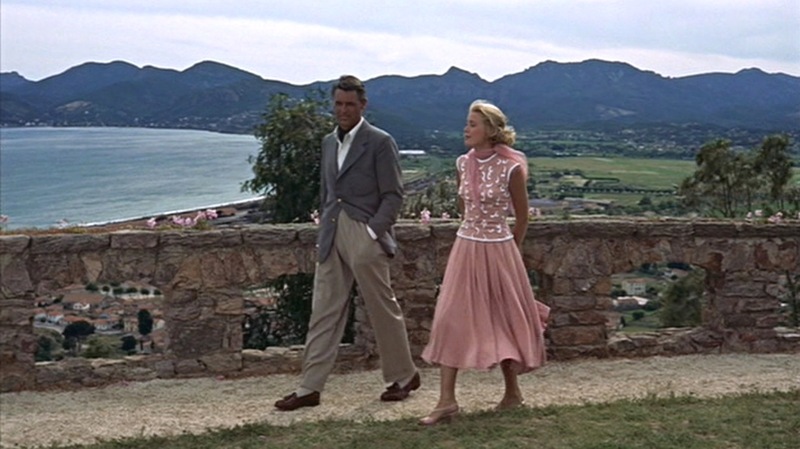 Evidently, both Cary Grant’s and Grace Kelly’s outfits from this scene were auctioned by Debbie Reynolds for Profiles in History in 2011, described as “key costumes by Edith Head, from the romantic scenic drive in a convertible overlooking Cannes,” although I haven’t been able to find the results or any additional auction details. Don’t be a snob about the way you dress. Snobbery is only a point in time. Be tolerant and helpful to the other fellow – he is yourself yesterday… If a man wears the kind of clothes that please him, then – providing they’re clean and don’t shock society, morals, and little children – what is the difference as long as that man is happy? 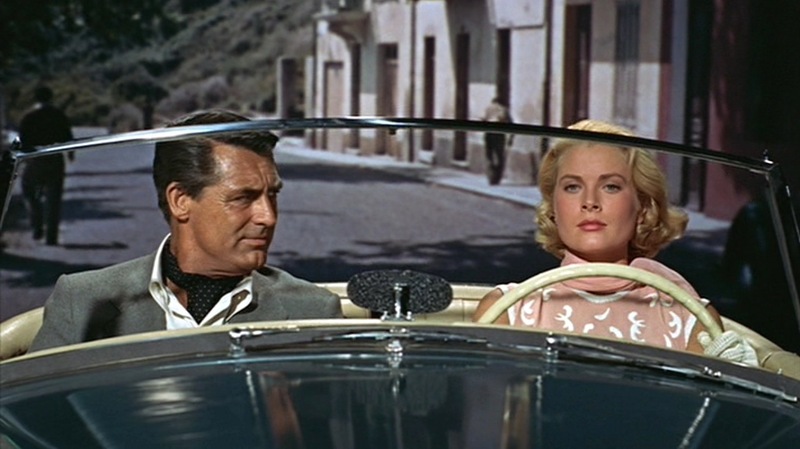 If To Catch a Thief were remade sixty years later, the contemporary title would probably be #FirstWorldProblems. 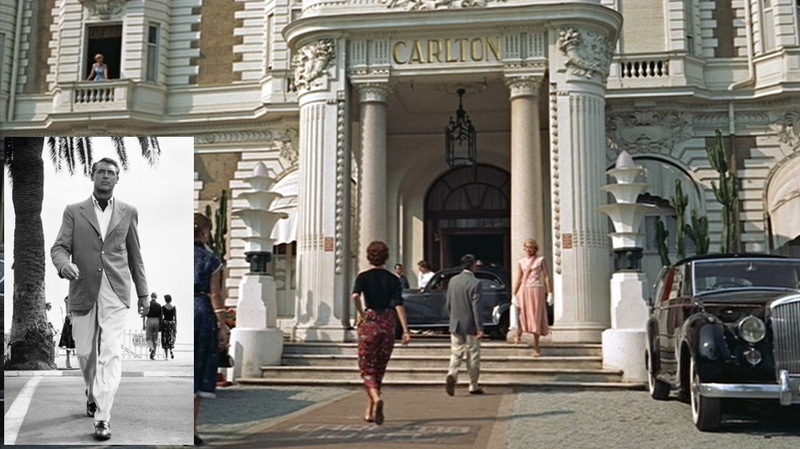 An infamous ex-cat burglar who now lives tending vineyards in France is forced to go on the run… to the French Riviera, of course, where he stays at the exclusive Carlton Hotel in Cannes. The Carlton Hotel is still thriving with rates ranging anywhere from $1,500 to $7,600 for a single night. Robie: Say somthing nice to her, Danielle. Danielle: She looks a lot older up close. 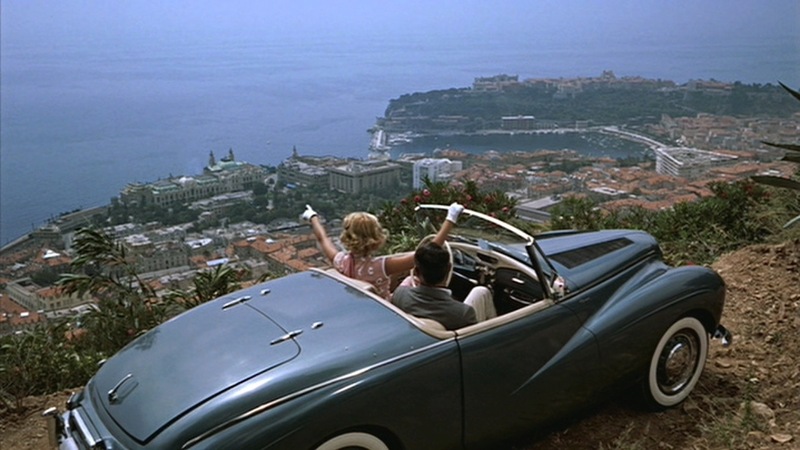 Francie decides that this fella ain’t so bad, even if he is a cat burglar (as she quickly deduces) and takes him out in her blue Sunbeam Alpine roadster for a car chase and subsequent picnic. Putting any serious discussions aside, Francie pulls out some beer and fried chicken to have a decidedly American picnic. Despite being unmasked as a career criminal, Robie can’t help but to dig in. …although they are enjoying a typical American lunch. My knowledge of 1950s beer bottle labels isn’t what it should be… does anyone know what brew Cary and Grace are sipping here? 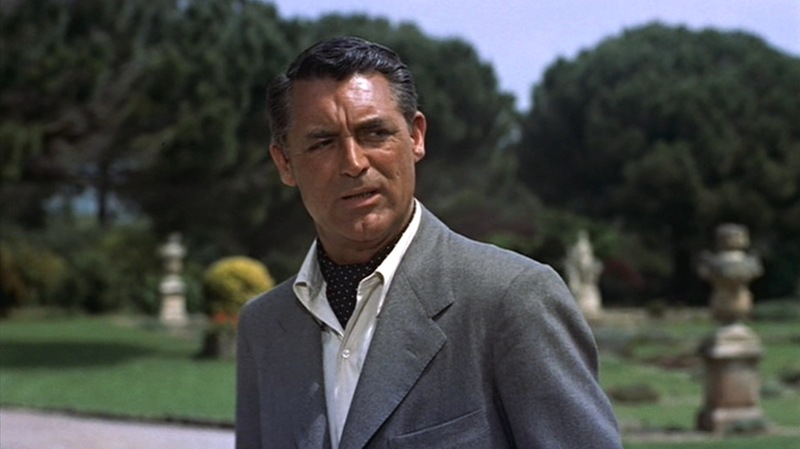 Especially in later films like To Catch a Thief, Cary Grant always showed off his sense of style with timeless clothing. 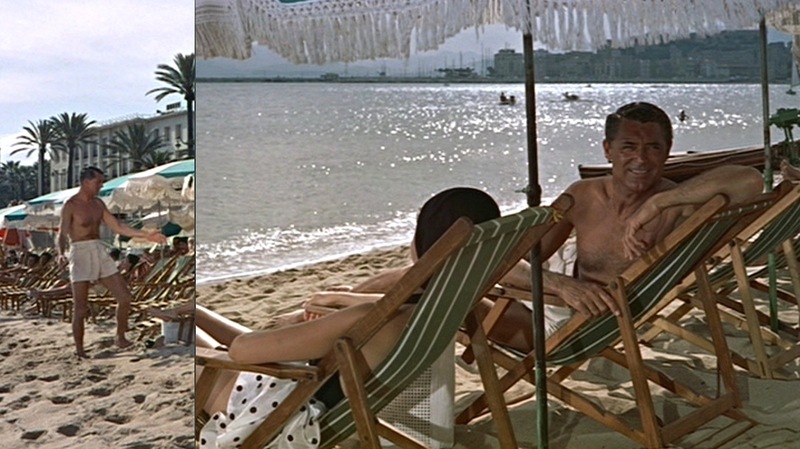 With the help of legendary costume designer Edith Head, Grant shows off an ideal resortwear outfit for his daytime outing with Francie. Cotton swimming trunks are pretty rare these days but a light color – like the beige pair worn by Grant at the beach – is a nice way to show off a strong tan. Don’t let the robbery spoil your day. It’s only money, and not even yours at that! I’m happy to say I own a copy of this movie on dvd. Your writing style is getting better and better. 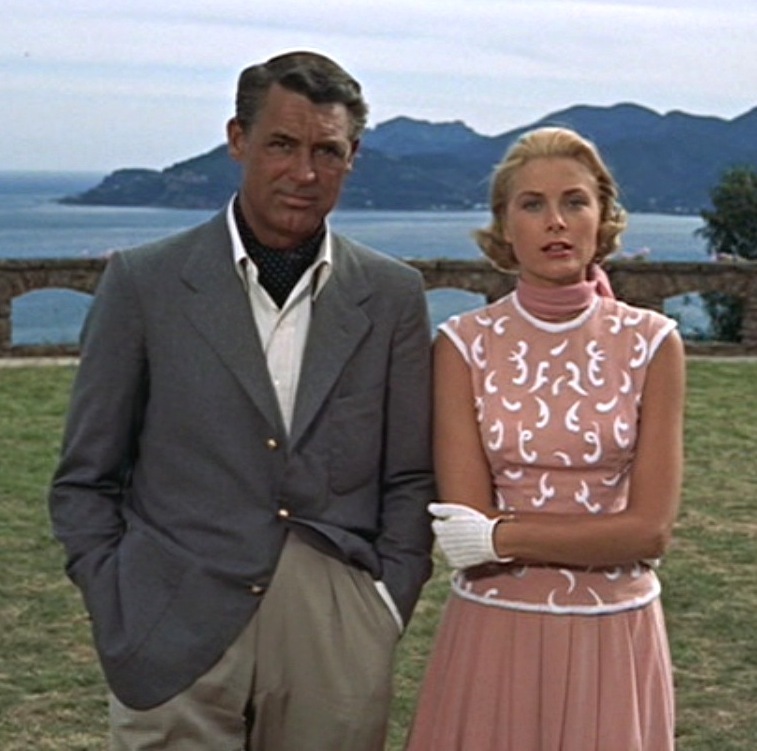 “To Catch a Thief” is the perfect primer on how to dress casually, yet elegantly. I have a 1984 issue of GQ in which Dianne K. Shah interviewed the then 80 year-old Mr. Cary Grant (he and Bogart are my two favourites of the old Hollywood era). This magazine is packed away someplace, but when I dig it out one day, I’ll scan you a copy of the interview and mail it out to you. That’s old school. Or, you could hunt it up on the web, but that’s not as much fun. Great write-up on a great outfit. I always thought he wore a blue chambray sport coat. Still, the best accessory is the Sunbeam.